What makes any neighborhood special is the people who live in it. And for the Northeast Olympia neighborhoods, that is especially true. 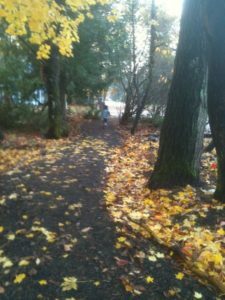 From its early pioneer settlers to the current residents and neighborhood associations, the people of Northeast Olympia are active in creating their own community. Northeast Olympia consists of five different sub areas; the historic Bigelow Neighborhood, Bigelow Highlands, East Bay Drive, the Northeast Neighborhood, and the Upper Eastside, all of which lie in the area north of downtown Olympia and east of Budd Inlet, up to about 26th avenue. 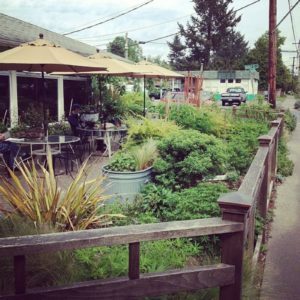 In 2014, the Olympia Northeast Neighborhood Alliance (ONNA) worked with the City of Olympia to create a Sub Area Plan in order to allow more collaboration and community involvement in the decision-making processes of the neighborhoods’ development. The three goals set forth by ONNA regard safety, mobility, and land use. The Joy Avenue Pathway, a pedestrian path that connects Quince Street and Bethel Street, is a great example of the efforts of NENA to improve the neighborhood. Thanks to a grant from the city, NENA residents were able to transform an overgrown lot into a safe, green pathway for the community. NENA works closely with the City of Olympia on many of their projects, the next of which is set to begin next year, and will be a sidewalk connecting the back entrance of Priest Point Park, up 26th Avenue to the end of Bethel Street. As well as close proximity to Priest Point Park, Northeast Neighborhood residents enjoy access to 37 acres of watershed and greenery at Mission Creek Nature Park. The side of the historical Bigelow House Museum, as seen from its entrance at 918 Glass Avenue NE. The neighborhood is also home to Capitol Vision Community Garden, the San Francisco Street Bakery, and The Olympia Little Theater. And a short ride on Intercity Transit route 21 connects residents to downtown. As well, Northeast Neighborhood residents have convenient closeness to Reeves Middle School and Roosevelt Elementary. The majority of the houses in the Northeast Neighborhood are single family detached homes. “I like that all houses are different, no two houses are exactly the same,” says Stephanie. In the early 20th century, the area was home to many of the city’s mill workers who built small bungalows and cottages, some of which have been maintained and added to throughout the years. But the Bigelow Neighborhood goes back even further. It’s namesake, pioneer and attorney Daniel Bigelow, claimed 160 acres of land stretching east from Budd Inlet in 1853. In 1854, he married Anne Elizabeth White, one of the first schoolteachers in Thurston County. The Bigelows were advocates for public education, women’s suffrage, and equal rights. And Daniel especially became involved in various public service offices. 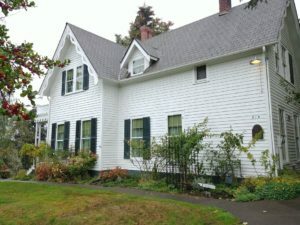 The Bigelow House Museum is Olympia’s oldest residence and one of the oldest wood frame buildings still standing in the state. The museum is open to visitors from 1:00 p.m. to 4:00 p.m. each Sunday, with a small donation. It was built sometime between 1855 and 1866, in the Carpenter Gothic style, which was popular among houses on the East Coast during that time. The Bigelow House remained in the same family up until 2005, and much of the original artifacts and furniture are still there. The Bigelow House is one of multiple historic houses in the area. Some of the area’s oldest houses can be found along Olympia Avenue. The Bigelow Springs artesian well provided water to the homes in the area, some of which also contain remnants of the Bigelow Orchard. Bigelow Springs is now a public park managed by the city, a neighborhood hang-out spot with great views of East Bay and the Capitol. The people and families who have called Northeast Olympia home have created an interesting and friendly neighborhood for many, many years. 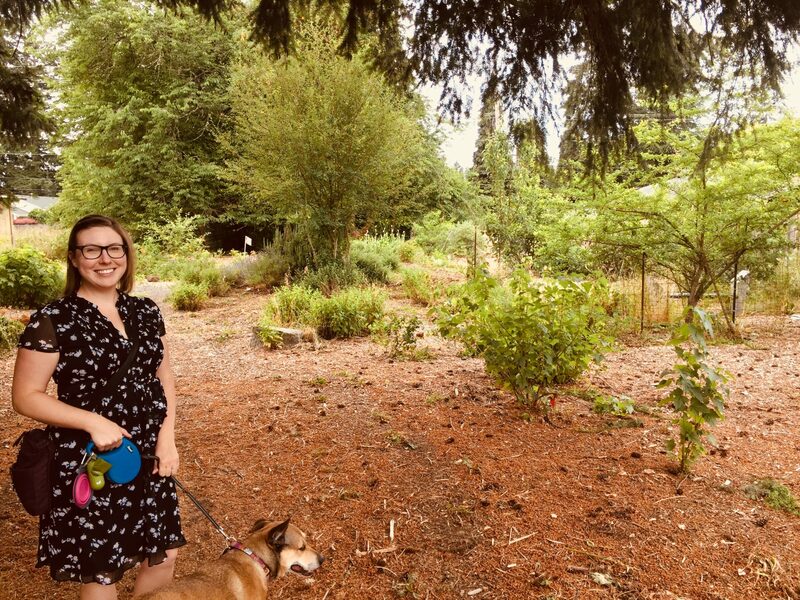 As Thurston County continues to grow and more new housing developments pop-up each year, it’s nice to see that one of our oldest community neighborhoods is still thriving.